Woot woot! You did it! And we want to shout it from the rooftops! 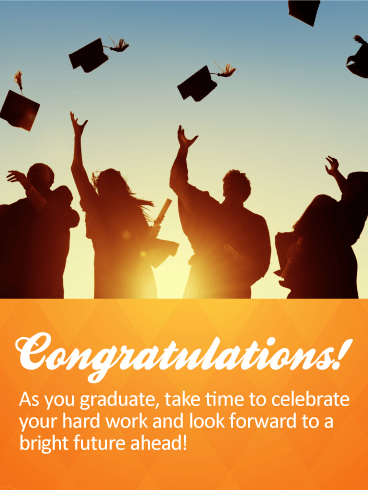 Send a fantastic graduation card to a proud new alumnus. 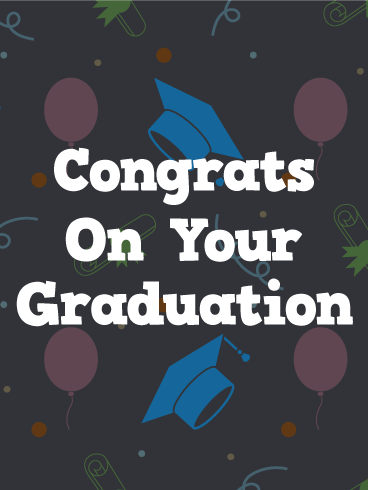 This is their day and their moment to shine, so send a graduation card to make them feel awesome for all their hard work. School's out! Time for the real world! Watch out, here they come! 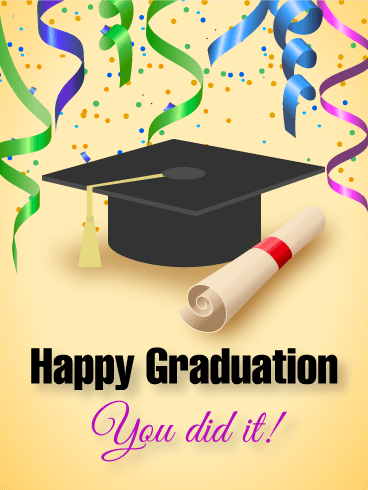 Celebrate their day with confetti and congratulations with this perfect graduation card. The laurel leaves are a symbol of honor for a scholar. Congrat the grad with a thoughtful and sophisticated graduation card. 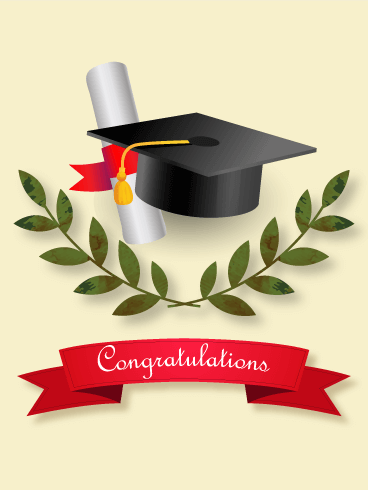 With diploma in hand, college graduates are a proud bunch ready to face the world beyond. Celebrate their special day and honor them in many ways including a congratulatory card. It's a great way to show you're proud and you recognize their hard work. 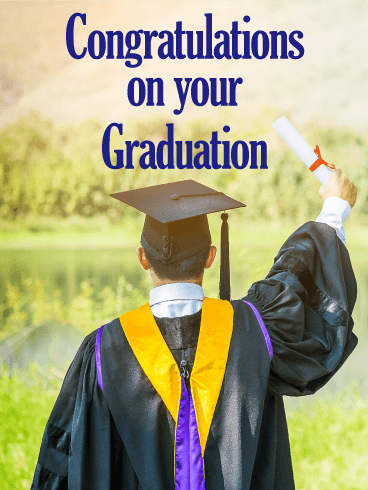 Graduations are one of the most exciting events in a young person's life. 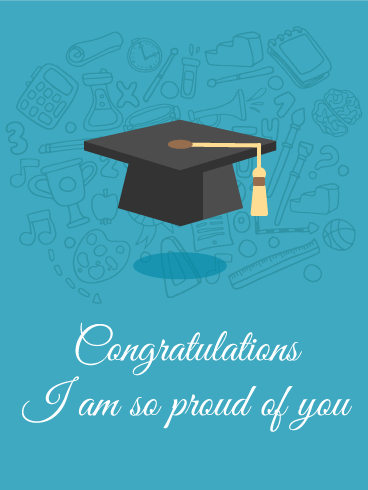 If you know someone who is graduating from high school or college, send them this graduation card to celebrate their accomplishments! 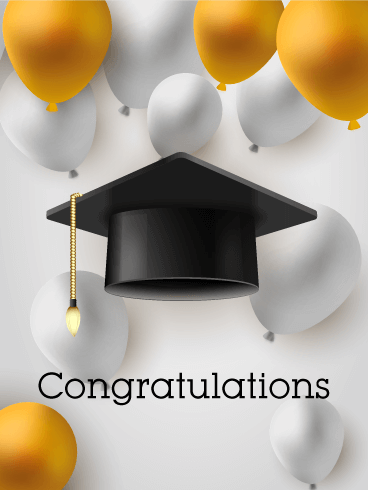 The graduate's cap will symbolize their hard work, while the balloons will show your excitement for their big day! 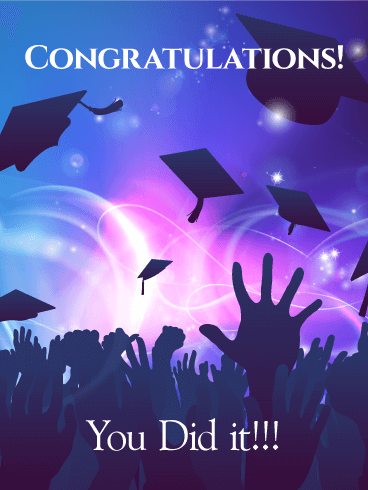 Use this graduation card to celebrate with a graduate you know today!